Present state: Westbound slow line platform still exists, with platform building in private occupation. Fast line platforms & eastbound slow line platforms are demolished. The station goods shed is still extant. Notes: Mostyn Station opened on the 1st May 1848. 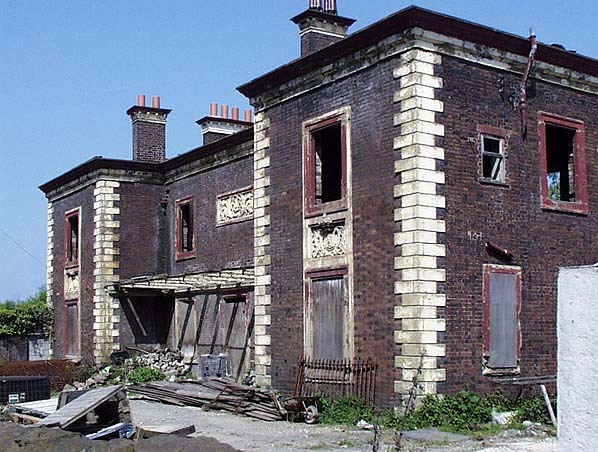 The Station was part of the Chester and Holyhead Railway Companies line which was engineered by Robert Stephenson. The line opened to Bangor on the 1st May 1848, between Holyhead and Llanfair PG on the 1st August 1848 and finally, following completion of the Britannia Bridge across the Menai Straights, in its entirety on the 18th March 1850. On the 1st of January 1859 the Chester and Holyhead Railway was absorbed into the LNWR and the line became an important truck route for that company. Indeed the line was of strategic importance as it connected London to Ireland via the Holyhead Ferry. Station. The station was remodeled accordingly with the eastbound platform being converted into an island platform which then served westbound and eastbound fast lines. A new platform was constructed to serve the eastbound slow line. A footbridge was provided to link the platforms at the northwest end of the station, this was demolished in the early 1990's. 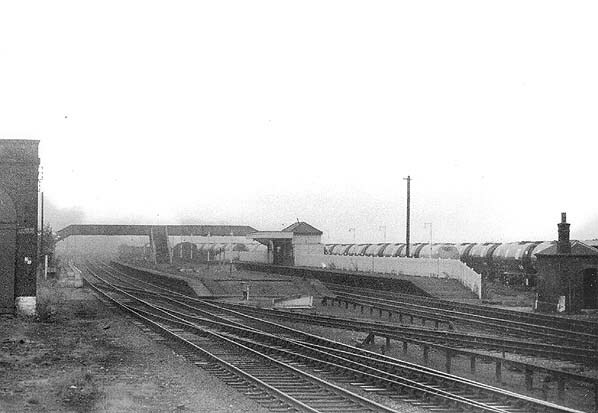 Nearby docks were served by numerous sidings and a large brick built goods shed was provided at the southeast end of the westbound slow line platform. A signalbox stood at the southeast end of the station. Mostyn Station was served by local and long distance services with a steady stream of expresses and goods services passing through. By the 20th century the line had become very busy with holiday traffic during the summer months. By the 1960’s traffic had declined and closure was proposed. The goods service was withdrawn on 4th May 1964 although private sidings remained in use. Mostyn Station closed on the 14th February 1966. 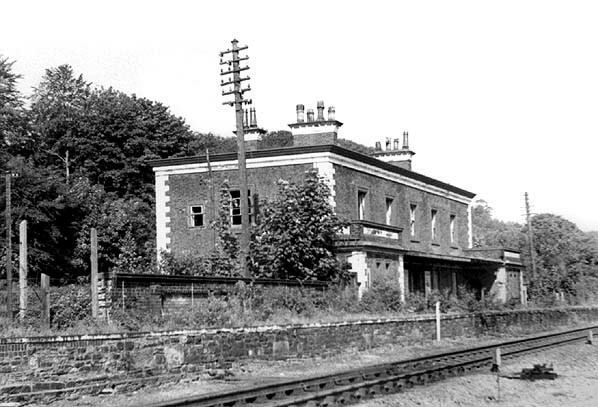 In the mid 1980's much of the line including the section through Mostyn reverted to double track although goods sidings are still to be found at the location.The original 1848 station building is still extant and in use as a private residence and the goods shed can also still be seen. For more pictures of Mostyn Station see Barrowmore Model Railway Group web site. 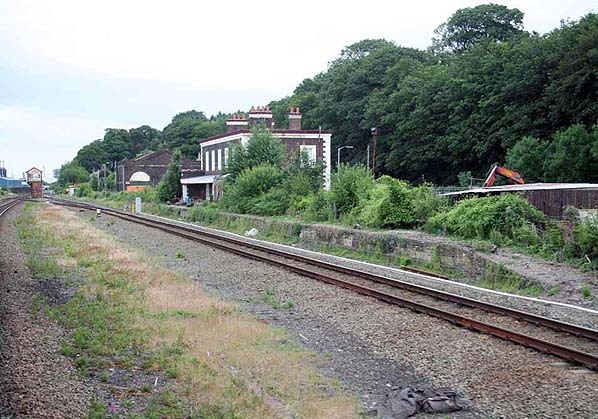 The westbound slow line platform looking towards the east in July 2006 showing the surviving 1848 station building now in use as a private residence.. 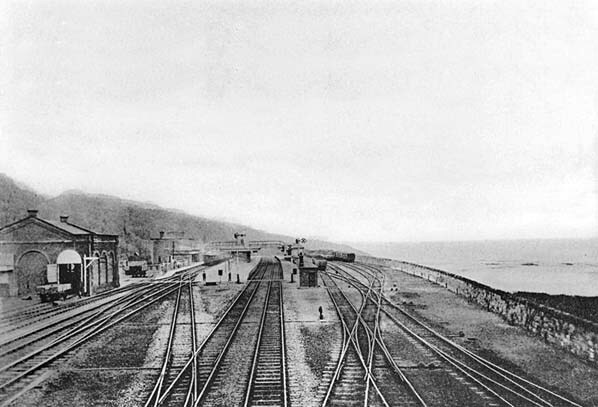 The was island platform would have been located between the current running lines which were formerly the fast lines.